The first psych ward Ruth Westbury ever worked was in a VA hospital in Lyons, New Jersey. 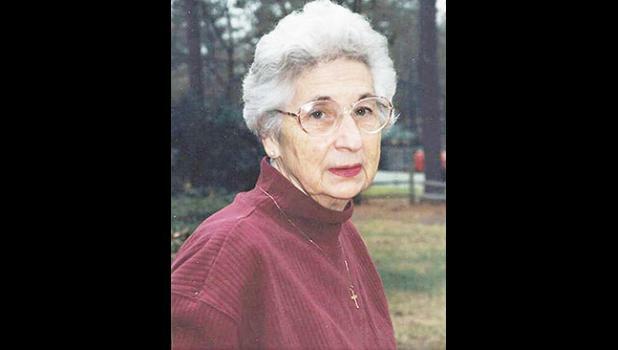 She had enrolled in a nurses’ training program in Charlotte, and they’d sent her to the Garden State for three months of psychiatric training at the beginning of the 1950s. With WWII freshly over and advances in modern psychiatric medicine still to come, the experience was not a pleasant one for the 20-year-old from Marlboro County, SC. “At that time, there was no psychotropic medication or anything like that, and that’s when I decided I’d never work in psychiatry,” she explains. Little did Westbury know she would find her calling 15 years later at the SC State Hospital. First, however, she wanted to start a family. After completing her nurse’s training, Westbury married her high school sweetheart Hugh, whose job with the SC Forestry Commission took the couple first to Orangeburg and then Columbia. She spent the next dozen years having and raising their four children. 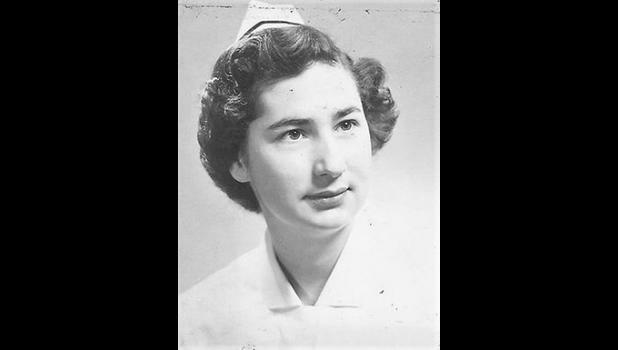 When she decided to return to nursing in the mid-1960s, Westbury found places reluctant to hire her because she’d been out of practice so long. The SC State Hospital, however, had no such reservations. Westbury secured a job there and arrived on Bull Street Valentine’s Day of 1966. It’s hard to imagine a more tumultuous time to start, as the hospital was in the process of racial integration. Each day, roughly 50 new African American patients arrived on campus; and, like a lot of state hospital staff, Westbury immediately found herself overwhelmed. Though she started out as a staff nurse taking care of geriatric patients in the Gibbes Building, Westbury was promoted to head nurse in only six months. She was then reassigned to a female ward in Allan, a high security building at the back of the state hospital’s campus. With far more people than room, patients were forced to live in close quarters and sleep in crowded dormitories. In such cramped quarters, physical altercations between patients were frequent, and nurses and staff occasionally found themselves in harm’s way. Soon after Westbury’s arrival on Bull St., a patient threw a coffee mug at her and hit her on the head. On another day, a patient slapped her when she forgot to get a doctor’s order so the patient could use the phone. Though Westbury was able to avoid more dangerous attacks, not all nurses at the state hospital were so fortunate. She remembers a fellow head nurse who was assaulted and raped in her own office inside the Saunders building, another high-security structure in the back beside Allan. In her 21 years on Bull St., Westbury witnessed her share of sadness and horror. About a year after she arrived, she says a female doctor committed suicide in the Cooper building after sewing a patient’s lips together. Westbury claims another disturbing incident took place in the Preston Building one night when aides restrained a mentally disabled woman and locked her inside a seclusion room. Though it was standard procedure to conduct frequent checks on secluded patients, the woman died inside. According to the retired nurse, it was a death that easily could have been prevented. Research of newspaper archives reveals the patient in question was likely Annie Noakes, a “severely retarded 35-year-old psychotic” who died on January 15th, 1984. According to the Aiken Standard newspaper, Noakes died from an epileptic seizure after 13 hours in a restraint suit. Her death occurred even though hospital rules required that patients be released from such suits every two hours for exercise. Three nurse’s aides were charged with failing to follow hospital protocol and Westbury was even called into court to testify about the tragedy. Although the terrible incident garnered much-deserved media attention, Westbury claims that was the exception rather than the standard when it came to bad things happening on Bull Street. Despite the heavy emotional toll Bull Street took on its workers, it did, on occasion, offer moments of humor. Westbury claims that, during a period of sustained negative publicity for the hospital, two state senators asked permission to pose as patients and spend the night on the grounds. They were placed in the high-security Preston Building. When they arrived and asked to be shown to their rooms, staff informed them that new patients were required to sleep in the open dormitory with dozens of others. Terrified, they were able to convince two patients who did have private rooms to let them have them for the night. They then asked staff for the keys so that they could lock the rooms from the inside. When they were refused, they pushed the bedside tables up against the doors so no one could come in. Another morbidly amusing incident involved a catatonic patient that nurses were certain had died. According to Westbury, it was their duty to dress deceased patients and prepare them for the morgue (inside the Ensor Building). When she couldn’t get a blood pressure reading or detect any sign of respiration from this particular woman, Westbury was sure she’d passed away. “We even called a doctor and he came to see her and said there was nothing he could do,” she recalls. And yet, Westbury claims, when staff arrived at the morgue with the patient, she suddenly regained consciousness, stirring to life and scaring them to death. In no time at all, the patient was back on her ward as if nothing had even happened. Westbury has other wild stories. She watched patients howl at windows while having LSD flashbacks. She saw notorious serial killer Pee Wee Gaskins in the Saunders building. She got to know an older patient she claims was one of the last to receive a lobotomy at the state hospital. There is an incident Westbury points to that provides crucial insight into her Bull St. education. One day just before Christmas, a female patient attempted to give her a bottle of lotion. When Westbury informed her that nurses couldn’t take gifts from patients, the woman broke down, lamenting that no one at the hospital would accept her gesture of kindness. Westbury claims such lessons made her a better, more understanding wife, mother and daughter. 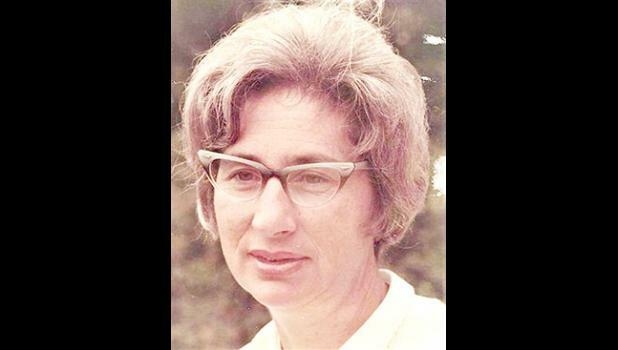 By the time Westbury left the hospital, it had changed drastically from the chaotic institution where she started in the ’60s. The patient population had fallen from nearly 4,000 to under 700 as medication improved and deinstitutionalization swept the country. And so, one day in 1988 Westbury finally said goodbye to Bull St. and all the dedicated professionals she’d come to know and love. They held a reception in her honor and even named a conference room in one of the buildings after her. Today, over three decades after she retired from nursing, a portrait of Westbury remains on display at G. Werber Bryan Psychiatric Hospital in Columbia. It hangs in fitting tribute to the woman who found her calling in the unlikeliest of places.